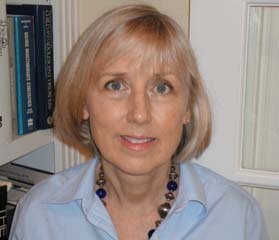 Ann Schulte is a research professor in the School of Social and Family Dynamics at Arizona State University. She co-directs the National Center on Assessment and Accountability for Special Education, a research center funded by the Institute for Education Sciences. She received her doctorate in Educational Psychology at the University of Texas at Austin with a specialization in school psychology. She has previously held appointments in the School of Education and Frank Porter Graham Child Development Institute at the University of North Carolina Chapel Hill, Duke University Medical Center, and North Carolina State University. She serves on the editorial boards of multiple journals including the Journal of School Psychology, School Psychology Review, Learning Disabilities Research and Practice, and School Mental Health. Her primary research interests are school-based services for children with disabilities, improving achievement growth and outcomes for students in special education, and assessment.